Clients are often unaware of how many works/money/effort goes into each aspect of your job. So, don't under value yourself!! Be Open and honest with clients about how many hours it really takes to shoot getting-ready photos or their Instagram marketing or create a work of art. Clients really are not aware of how much goes into these things. So when you give them a realistic breakdown, it actually builds trust and draws your target market closer, as opposed to the common misconception that it pushes them away. In the same vein as tip #1 , don’t be afraid to occasionally give freebies! That could be free advices during a phone, video, or in-person consultation or it could be a free pdf educational handout. For example, you could provide a free planning checklist to clients if you are in the wedding industry or you could offer free advice during a initial coaching client consultation. Coming up with tips on the fly really shows your expertise more than anything else! If you sell art, you could give the clients free behind the scenes look into the art/meaning - which would provide education, as well as appreciate for the artwork. The ideas are endless but just make sure you are showcasing your expertise with some freebies! Timelyness, also, applies to "goods-makers" in the crowd. If you make a sale, do you best to package, ship and send their order right away. They are excited to receive your goods in the mail - don't make them wait and leave a sower taste in their mouths! For all of these tips, remember that the golden rules of respect and politeness still apply. You never want to make someone feel bad for not being able to afford your services/goods or not understanding what you do. In some cases, a client will pass on your services for a cheaper alternative, but later returned to hire you—all because we left the door open and respected the client. You can incorporate these tips all throughout your proposal process, follow-up process and consultation strategy. 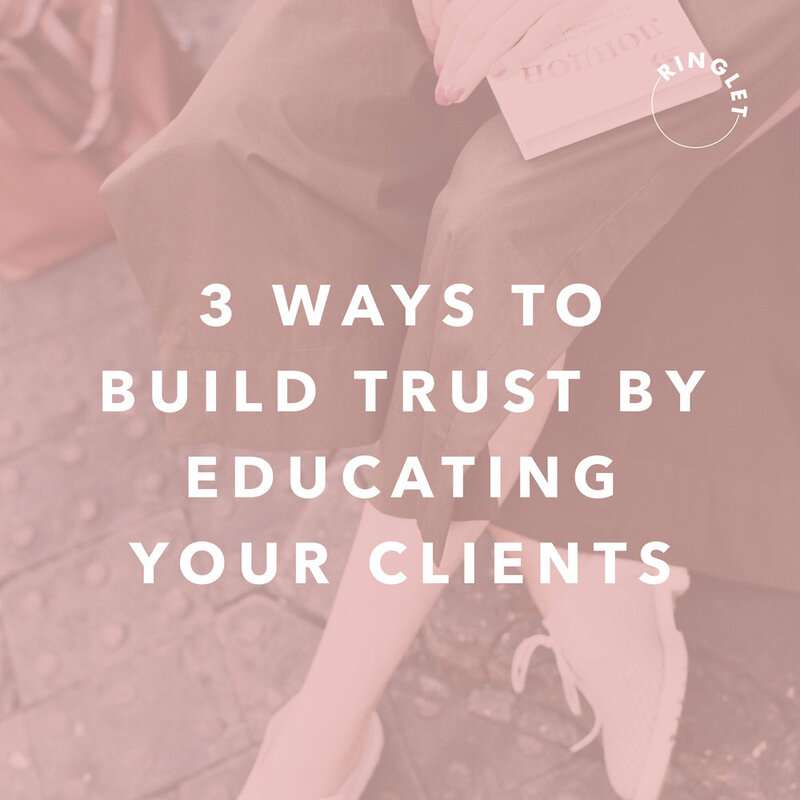 When used well, education and information can help you nurture clients, guide them along the journey, and line up bookings that are truly a great fit. Sign up with your email address to receive news and updates every Friday morning.